Field Engineer expands to create a global on-demand workforce for SD-WAN deployment covering over 180 countries for the best possible results. New York, United States - December 14, 2018 / / — SD-WAN or a software-defined wide area network is now a crucial technology for businesses operating on a global scale. As much of the work taking place now operates within a virtualized online space, SD-WAN is critical to ensuring the security of your business as well as the seamless use of and access to company resources. As more and more people work from home, it is unsurprising that many businesses are now operating on a global scale, even when their clients are based in a single geographical location. Connecting all these employees and creating virtual teams is no longer seen as futuristic or unmanageable but is fast becoming a norm. The only problem is that when companies choose to expand their virtual network it can take a lot of time to get set up. This is where the new service from Field Engineer really comes to the fore. 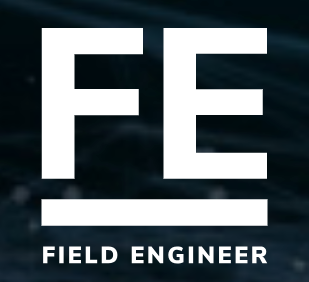 Field Engineer is a platform for hiring on-demand telecom engineers and technicians. This means that the site can respond quickly to requests, providing workers anywhere in the world. You can choose the right engineers for your project by looking at their experiences and qualifications and you aren’t limited to choosing how many engineers you require to attend. If you have a large scale project, simply request more engineers. Field Engineer is a very simple site to use. To tender your project, all you need to do is post your job with a few details and then sit back and wait for a suitable engineer to get in touch. Once you have a few options, you can hand pick the right engineers for your team and then Field Engineer will manage the project for you, no matter where it is or how many time zones you cross. Field Engineer is currently supporting SD-WAN deployments with the following expertise Cisco, Viptela, Versa, Aryaka, Riverbed, Talari, Silverpeak, and Velocloud.